Fred Buller died on Tuesday 16th February, 2016 at the age of 89. An angling writer and historian, Fred was thought by many to be one of the founders of modern pike fishing. He has been called the pre-eminent authority on all things pike and his studies have been described as classics and masterpieces. Fred started angling at an early age and spent every school holiday fishing for trout in Dorset on the Stour. He went on to become an accomplished match angler and on one occasion in 1957 had a winning 64lb bag, consisting of two hundred and sixty-one dace. He was also awarded the Wilkes Cup in 1954 for catching the most fish in a season, and won it another four times before giving up match fishing. Fred was a prolific writer and devoted much time and energy to the verification of reports of large pike. He was motivated by the idea of applying scientific principles and of verifying claims of big fish. He examined some of these claims in his books Domesday Book of Mammoth Pike, 1979, and More Mammoth Pike, published by Medlar in 2005, and also in his more recent book - The Domesday Book of Giant Salmon. Some of the most celebrated books written by Fred resulted from his association with Hugh Falkus. Falkus and Buller’s Freshwater Fishing is an appraisal of all of the British freshwater species, with literary references and a history of tackle and methods used for each one. Fred provided many of the drawings for this jointly-written book and used many of his own photographs. The highlight of their partnership was Dame Juliana the Angling Treatise and its Mysteries - a modernisation and interpretation of the original mediaeval English text of Dame Juliana’s Treatise. This work was thirty years in the making. Medlar books by Fred include: More Mammoth Pike, Great Pike Stories and his fascinating book Fish and Fishermen in English Medieval Church Wall Paintings. Fred was a fishing all-rounder and in addition to fishing for pike, he also enjoyed fishing for salmon and trout, and had even spent some time in Ireland in pursuit of a large porbeagle shark. He was also an angling historian and spent many years researching various aspects of fishing in all its forms. Fred made significant contributions to the development of fishing tackle, most notably with the Moncrieff Rod Development Company, Chubbs of London, and as an adviser to Hardy’s of Alnwick. He was also the managing director of the famous gunmaking firm of Frederick Beesley. 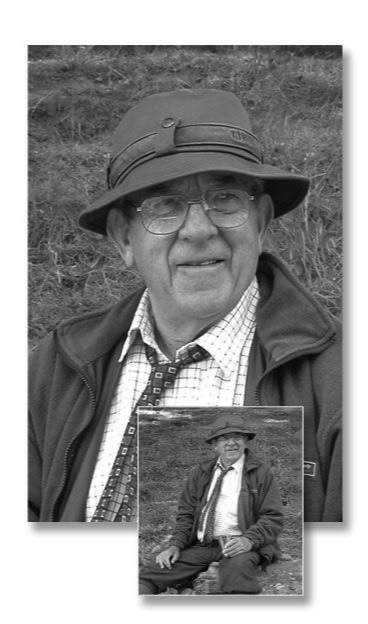 Fred was awarded an MBE in the 2010 New Years Honours List for services to angling.